Texas A&M researchers from the Animal Science Department of the university’s College of Agriculture and Life Sciences, and from the AgriLife Extension Service, may have finally reached an inexpensive and medium-term material to produce hutch shades that will help to reduce the harmful effects of heat on calves. High temperatures and too much exposure to sun rays have proven to be harmful to these animals. 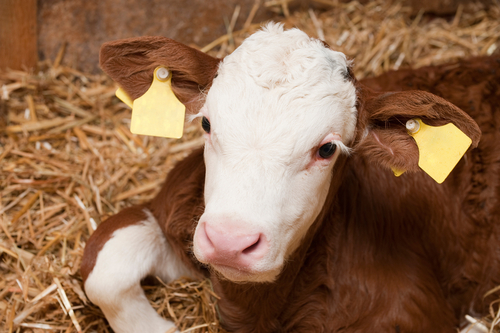 The conclusion dates back to 1950, when scientists observed that calves exposed to heat had lower performance, decreased feed intake and feed efficiency, and registered an increase in the number of premature deaths. With this question in mind, Ted Friend and a team of researchers have been working for years to find an effective and inexpensive solution that improves calves’ and dairy cows’ health, growth, and performance. Until last year, all of the available solutions on the market had some obstacle that livestock owners had to overcome. Some materials over-heated the hutches more than the sun itself, others didn’t allow sun rays to pass through, which was equally prejudicial to calves in winter, while still others were permanent and didn’t allow the hutch to be removed after the calf was raised. Finally, most of the hutch designs weren’t durable and were too expensive. Last year, Friend and his team identified an inexpensive reflective material that survives Texas heat up to 90 days, can be removed after the calves are raised, and cools the temperature inside the hutch by about 25 degrees at 10:30 a.m and 30 degrees at 2 p.m on summer days. “This large difference certainly influences the comfort of calves that seek shade within the hutches during the period when there is little wind,” Friend explained. In addition, the use of a reflective material also allowed the for warmer temperatures inside the hutch during the night, serving as a kind of insulator. “The team’s goal of developing a useful reflective cover that costs under $4 per hutch and lasts up to 90 days” is a real possibility, explained Ellen Jordan, another team member and AgriLife Extension dairy specialist. This new reflective shade hutch can help farmers dealing not only with calves’ and cow’s health, but also with costs and with the market regulation. “Some audits are starting to insist the calves have adequate shade, so auditors are likely not to consider an uninsulated plastic hutch to be adequate shade for the animal,” Friend added. For all these reasons, the team believes there’s potential for a wider adoption of this hutch shade and already found other places to test it besides Texas. “We will also be working with a farm in Southern Arizona. I am very excited to see how much reflective covers can help in that environment,” Friend said.